Learn about the history and culture of Slovenia’s capital city on a guided walking tour of Ljubljana. You’ll hear stories and legends about Ljubljana’s most famous monuments and get insider info about life in Ljubljana from your guide. 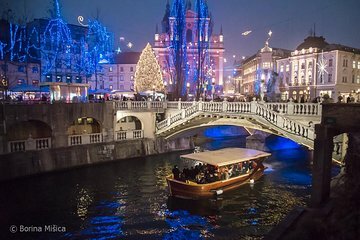 The tour concludes with a cruise down the Ljubljanica River where you’ll admire the bridges and embankments that give Ljubljana its characteristic appearance.